This video is brought to us by the YouTube Channel WTFflow. It shows an unidentified flying object moving slowly through the clouds. Definitely worth a look. 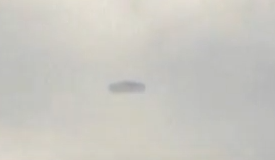 Is this a UFO? A balloon? CGI trickery? Thoughts? Does the U.S. Have a Starfleet?